CTD caught a lot of hell before, during and after the 2008 elections when everyone was preparing for the worst with regard to impending firearm legislation. A lot of places instantly sold out of anything that might be headed toward a ban because people wanted to stock up. CTD inflated their prices and claimed that it was to avoid selling out of items. Hey, supply and demand, capitalism, etc. I get it. That's their prerogative. Some considered it to be price gouging. What really got people steamed was the amount by which CTD jacked up the prices (see the -51% "bargain" below) and the shenanigans with the "List Price" (which many people take to mean MSRP). CTD eventually got around to raising the list price of the ammo and other items with "negative savings" so that it looked like you were saving money. There were plenty of reports about outright fabrications regarding MSRP/list price. 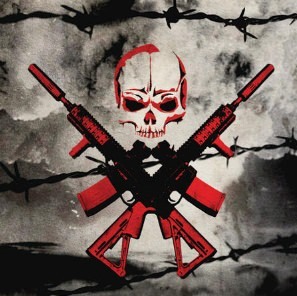 One in particular that I can think of was for MagPul products. Someone on another forum sent MagPul representatives a message asking them if they had raised their MSRP due to the elections (as the CTD website might indicate) and they stated definitively that they had not. Because of that type of behavior, CTD lost a lot of business for good and many called for a boycott. In all fairness, all of my dealings with them have been straight forward (albeit, before the shenanigans) and at prices that we both agreed upon. That's the definition of a fair deal. Their pricing structure seems to have calmed back down although, as always, many people still complain about the cost of shipping from CTD relative to the cost/weight of the goods ordered being unfavorable. I haven't purchased anything from CTD in several years but if a good deal on there caught my eye I may jump on it. 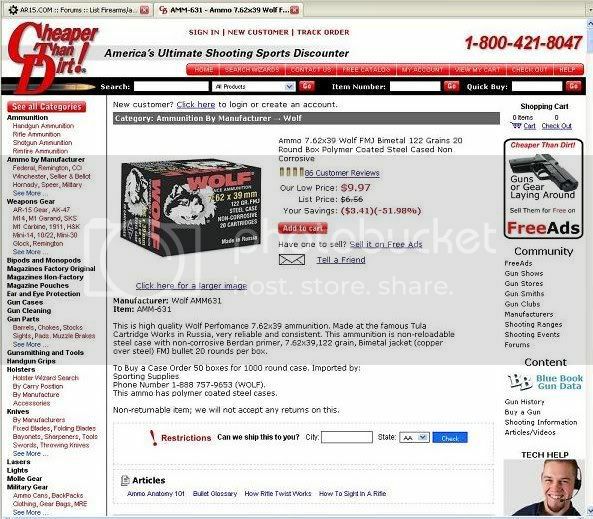 One of several screen captures from the CTD fiasco in late 2008 early 2009.
always liked Cheaper Than Dirt's selection and prices (especially on bulk .22lr ammo ). delivery time and order service is very good. For those of us who live in Texas, CTD is located in Fort Worth. They now have a brick and mortar place in Round Rock, Tx just a little north of Austin.